"What's the old saying, experience comes from failure," Allen said. "You kind of have to go back and try to learn from all those moments and use them going forward." Greg Bird singled after Stanton's homer, but Allen got Miguel Andujar to bounce into a double play. Allen walked Neil Walker, but Gregorius popped up to shortstop Francisco Lindor in shallow left field. "Sometimes it's a little harder than others, but you really don't have a choice," he said. "Obviously the leadoff homer and that base hit there, you start to sometimes maybe allow it to speed up a little bit. You have to do your best to try and reel it in." 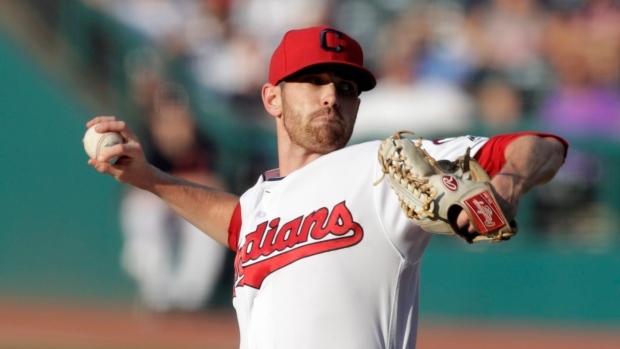 Rookie right-hander Shane Bieber (5-1) pitched into the eighth inning. He was removed after Tyler Wade's leadoff double and Cleveland leading 6-3. Brett Gardner's RBI groundout cut the lead to two and set up the ninth. "Especially when Stanton comes up the next inning and hits a home run like that, it's tough," Judge said. "But those are gambles. You've got to take those gambles. We took a risk and I was out." New York got back in the game in the fifth on Walker's RBI double and Gardner's sacrifice fly, with a wild pitch scoring another run. Ramirez's RBI triple and Yonder Alonso's run-scoring single in the bottom of the inning pushed the lead to 6-3. Yankees manager Aaron Boone had a simple explanation for German's struggles. "Just couldn't find his fastball there the first couple innings," Boone said. "To his credit, he kind of righted the ship a little bit and got into a little bit of a rhythm because we were real close to probably having to get him out of there in the second inning." Left-hander Ryan Merritt, who hasn't pitched in the majors this season because of knee and shoulder injuries, was activated from the 60-day disabled list and designated for assignment by the Indians. Merritt started the series-clinching Game 5 of the 2016 ALCS against Toronto when Cleveland went to the World Series.